HomeDIETIs Sugar Consumption Really Linked to Cancer? 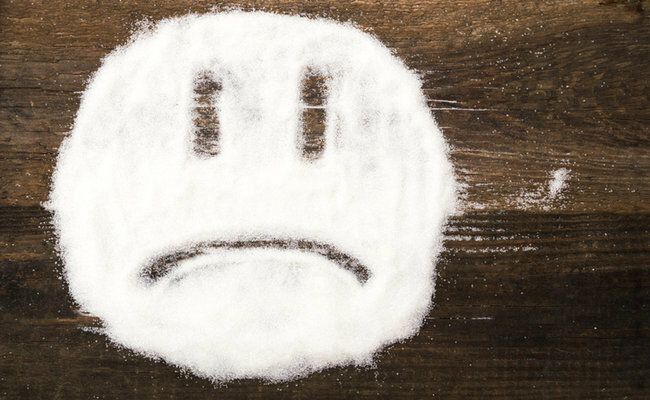 Most of us know that sugar isn’t good for us, but few people know just how bad for us it actually is. Sugar has been linked to a whole host of health problems from heart disease to brain disease. There has been a lot of speculation as to whether sugar consumption may be linked to cancer. On one side, the sugar industry has been claiming for years that it is safe and does not cause cancer while a growing body of research concludes otherwise. New research in the medical journal Cancer Research explores the possible link and found that, indeed, sugar may actually be linked to the formation of cancer. That’s because it appears from the research that cancer needs a large amount of glucose, which it also needs to metabolize quickly to survive. This finding also sheds light on the possible way to treat cancer, too. If cancer is starved of the fuel it needs for its survival, perhaps it will die? While the scientists explore new avenues for treatment based on their results and claim that restricting sugar consumption won’t make a difference to cancer, there is other research that found a link between dietary sugar consumption and cancer. Earlier research also found links between sugar and cancer. In one study published in the journal Cancer Research, between 50 to 58 percent of the animals fed a sugar-enriched diet suffered from breast cancer by the completion of the study. Other studies link sugar consumption to endometrial cancer and colon cancer as well. A 50-Year Cover-Up About Sugar’s Link to Disease? There’s also evidence that the sugar industry has been part of a massive coverup over sugar’s link to cancer and deceitfully claiming that sugar is safe. According to an article published in the journal PLOS Biology, researchers share the results of their investigation—a tale of deceit, deception and corruption. As early as the 1960s, independent research began linking sugar to heart disease, but a not-for-profit trade association called the Sugar Research Foundation (SRF) secretly funded a study that discounted the link between the white stuff and heart disease, publishing their results in The New England Journal of Medicine. The study results indicated that antibiotics and starches affected gut microbial changes linked to heart disease, but sugar itself was not the culprit. At the same time, the foundation terminated their own 4 year assessment of their internal documents about the health effects of sugar, without disclosing their results. But, 3 doctors began to uncover the research, collectively known as Project 259 and exposed the sugar industry’s potentially fraudulent efforts to bias health policy and public opinion for their own financial gain. These independent doctors published their initial findings in the prestigious Journal of the American Medical Association (JAMA)that the sugar lobby has been artificially pointing the finger at fat and cholesterol as the culprit behind heart disease, while simultaneously buying scientific evidence that refutes the connection between sugar and heart disease. See Also: What Are the Sneaky Signs of Added Sugar in Food? What does the potential cover-up have to do with cancer? Two of the independent doctors, Drs. Kearns, Glantz as well as Dr. Dorie Apollonio published their evidence that showed an even stronger link between heart disease and sugar, as well as evidence that sugar is actually a potential carcinogen in their article published in PLOS Biology. They concluded that the sugar industry knew about the heart disease and cancer links for the last 50 or more years, despite what they’ve been declaring to the public.